Assamese weddings – matchless and distinctive. Weddings in Assam are truly reflective of the culture and ethos of that region. They are simple, and very different from Hindu weddings in the rest of the country. Assamese marriage ceremonies are short and sweet, and their pre-wedding festivities are much longer and are of greater significance than the actual day rituals. The Joran is the most important pre-wedding ritual in Assam. Only women are a part of this custom, where the bridegroom’s mother and other women from her family visit the bride’s home. They are greeted at the door by her mother with a brass betel leaf with a stem, known as the Xhorai. 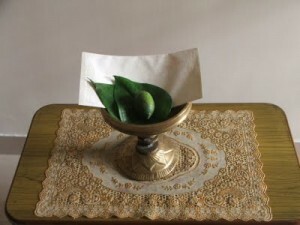 The betel leaf is an important item for all the wedding rituals. The Assamese bride is gifted the traditional mekhla chador by her future mother in law, along with some jewellery and other gifts. To the sound of the Biya Naam, or traditional Assamese wedding songs, sung by the women of the family, the mother in law places the sindoor in the bride’s hair. This is the only Hindu wedding in the country where the sindoor is placed a day before the wedding and not by the groom, but by his mother. She also places a betel nut on her hair and applies oil three times. The wedding day begins with the ceremonial bath for both the bride and the groom, similar to the Bengali weddings. After the arrival of the bridegroom’s entourage at the wedding venue, he is carried in by the bride’s maternal uncle, who also brings in the Assamese bride to the mandap. An exchange of garlands is followed by the traditional Hindu wedding to the chanting of the shlokas by the family priest. The Assamese bride is presented a mirror on the day of her Joran, which she has to leave behind in her maternal home before she departs for her new home. The bride’s mother is also presented with an earthen pot filled with raw food items, by the groom’s mother as thanks for having taken care of her future daughter in law for so many years. You were reading about Assamese weddings posted in Weddings and tagged Assamese boys, Assamese brides, Assamese girls, Assamese grooms, Assamese marriages, Assamese matrimonials, Assamese weddings, Indian weddings by mridula. Bookmark the permalink.